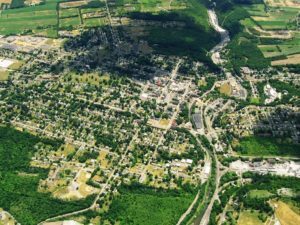 After years of trying, revitalization is taking off in "Pennsylvania's Victorian Jewel"
The Borough of Bellefonte has a population of a bit over 60-00, and sits about twelve miles northeast of State College. It houses the Centre County Courthouse located downtown on the square. 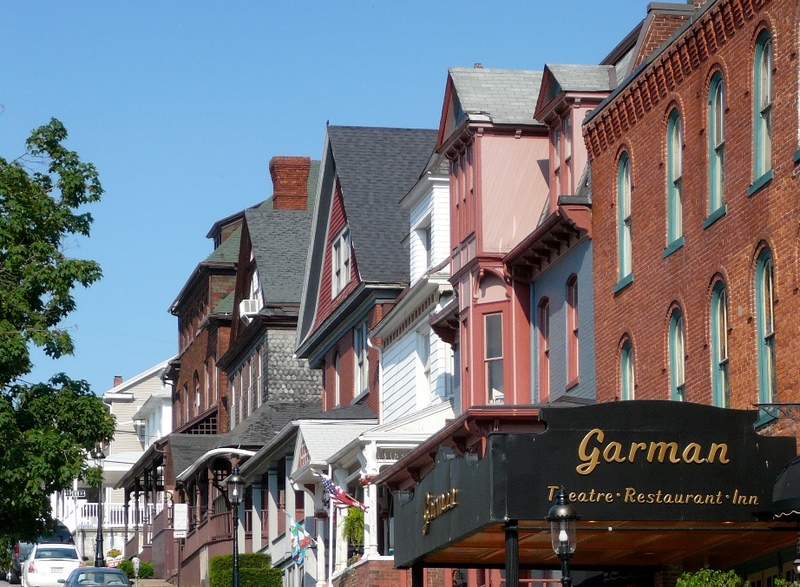 Bellefonte bills itself as “Pennsylvania’s Victorian Jewel,” primarily due to its many examples of Victorian architecture. It is also home to the natural spring from which the town gets its name (“la belle fonte”). 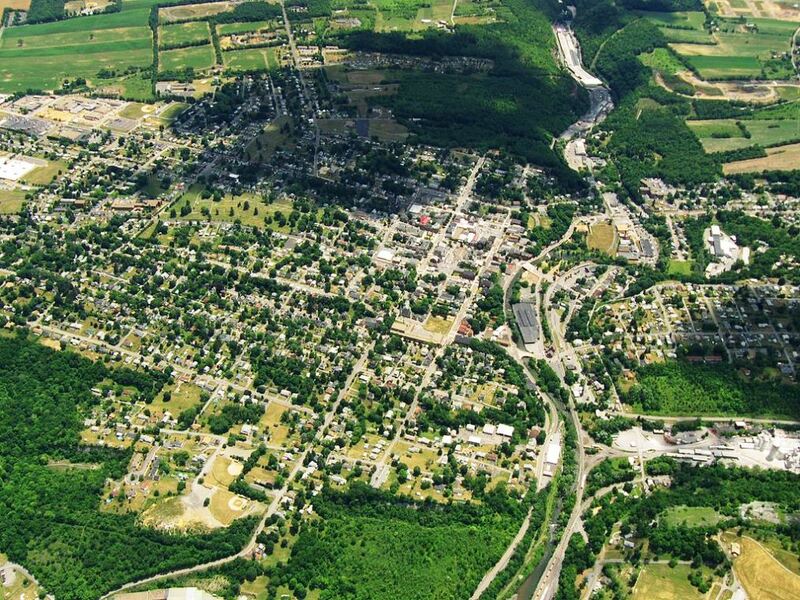 Aerial photo of Bellefonte by Dhaluza via Wikipedia. Despite these assets, the town has struggled economically, and has been trying to revitalize its waterfront district for a number of years. Now, on March 26, 2019, it looks like the boost they’ve needed has arrived. The Borough was awarded $941,824 to revitalize waterfront property on Dunlap Street. The funding was announced by Senate Majority Leader Jake Corman (R-34) and state Rep. Kerry Benninghoff (R-171). This new funding has arrived just as a plan was being advanced to redevelop the site the Bush House, which was destroyed in a fire. Bellefonte Waterfront Associates—owned by Tom Songer and Mark Morath—are about to build a 5-or-6-story 80-room boutique hotel on the property. The grant was awarded by the Commonwealth Financing Authority (CFA) under its Multimodal Transportation Funding Program. The borough and the Bellefonte Waterfront Association will install a promenade on Dunlap Street. The promenade will act as an secondary pedestrian path to the downtown, spanning the length of the street and eventually wrapping around the hotel and running along Spring Creek. Dunlap Street serves as a connector between High and Lamb streets. As part of this plan, Dunlap Street will be completely reconstructed, repaved and reconfigured from a one-way to a two-way street. The total project cost is about $1.4 million. Featured photo by anonymous via Wikipedia.